Electricraft, Inc., a solar installation company in San Luis Obispo, CA has released a report that takes a look at how solar energy has improved ranching and farming. “San Luis Obispo County agriculture contributes close to $2 billion to the local economy and we believe it is important for the agricultural community to know how advances in solar technology can benefit them,” said Vice-President Jacob Treder. Advancements in solar technology are making it possible for ranches and farms to operate in more cost-effective ways. Solar energy is no longer just for keeping the lights on. Crop and livestock management is being streamlined by improvements in agricultural necessities such as pumping water, security and monitoring and even farm equipment. Solar energy has gained enough significance in California economy that the state is providing $6 million to assist agricultural operations with installing on-site renewable energy technologies. Authorized by Assembly Bill 109, the assistance was included in the 2017-2018 budget that was signed by Governor Brown in July 2017. Beyond providing power to farm structures, solar energy can power agricultural operations such as crop irrigation, rangeland livestock watering, security systems, and is contributing to solar innovations in equipment. As the leader for solar installation in San Luis Obispo County, Electricraft is continually researching the latest developments in solar energy. Through advancements in solar technologies the sun can provide power for agriculture in improved ways, including cost-effective crop and livestock management. Other studies from institutes such as the Massachusetts Institute of Technology (MIT), the 2017 9th International Conference on Applied Energy and the World Access to Modern Energy are reporting about the benefits and gains brought by solar powered irrigation on a global scale. 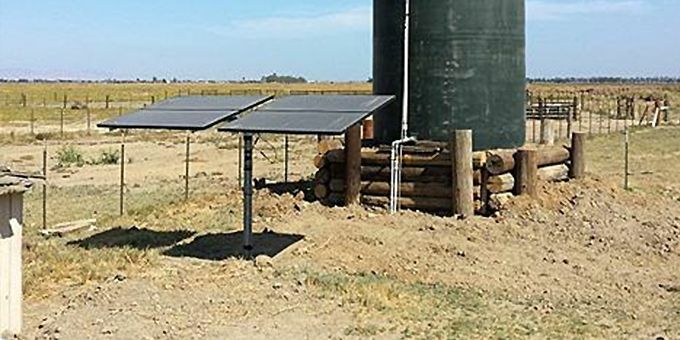 Since California remains one the largest contributors to the world food supply, even large-scale farmers who incorporate solar irrigation stand to benefit by reducing energy and labor costs. Solar powered security systems provide all the same benefits and safeguards as traditional electric systems without the ongoing energy costs. Gone are the days of saddling up and riding the range to check on livestock and crops. Solar security systems can be installed at strategic remote locations where there is no power. The advanced solar security systems use cellular and WiFi connectivity that can be monitored from a computer or mobile device. Managing livestock on rangeland is a labor-intensive effort because the herds need to be managed in a way that prevents overgrazing and maintains a sufficient and clean water supply. The animals tend to stay near water sources so it is important to be able to disperse water sources throughout the range. Ranchers have relied on windmills or gas-powered generators to pump water from wells into livestock troughs and the pumps have to be check and maintained frequently. This reliance is one more maintenance effort that solar powered water pumps have eliminated or reduced. Running traditional power to remote locations is expensive, in many cases more costly than digging a well. Solar powered water pumps that are designed for livestock use can pump water from wells as deep as 600 feet to large troughs or tanks holding thousands of gallons of water. Electric powered transportation like golf carts, ATVs and utility vehicles are standard for agricultural operations. They are handier and less expensive for running between barns, fields or through orchards than a truck. Any vehicle that is powered by electricity can be powered through a solar charging station. Several models of golf carts and utility vehicles are also powered by on-board solar panels. In 2016 the John Deere Company announced development of an electric powered tractor. Instead of a diesel engine under the hood, the prototype has 130 kWh of battery-powered capacity. If an electric car can be recharged from a solar power station, it only makes sense that a tractor can. As of the introduction of its electric tractor, John Deere has not released any details about when the electric tractors are going to be available, but the first solar-powered airplane completed an intercontinental flight in 2014. If solar can power airplanes, can heavy-duty solar powered tractors, harvesters, and other equipment be far behind? Electricraft is on the forefront for advising and installing solar for San Luis Obispo County agricultural operations. The company is a local established solar business with the knowledge and experience to help design and install high quality solar systems. 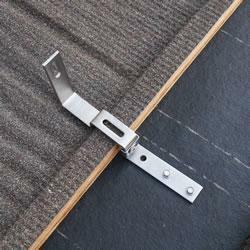 The company provides turnkey design and permitting assistance, troubleshooting and maintenance.